Retire to Eugene, Oregon known for its education, recreation, and attractions. It has been nationally recognized for its livability, pleasant climate, cultural diversity, quality of professional services and economy. Close to the Cascade Mountains and just an hour from Oregon's spectacular coast. It is known as one of the more well-developed communities in the country. Eugene is often referred to as "The Emerald City." Douglas Fir forests border the city on three sides and account for its past reputation as a lumber town. Live theater is also presented regularly throughout the area, along with music, dance, and other popular entertainment. Special Cultural Attractions include the acclaimed Oregon Bach Festival, the Eugene Festival of Musical Theater and numerous outdoor summer productions each year. The Hult Center for the Performing Arts covers two-blocks in downtown Eugene, it is one of the busiest and finest of its kind in the country; it is home to nine resident companies. 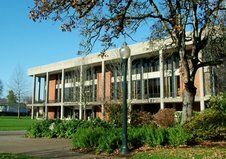 Built by the citizens of Eugene, the Hult Center has quite an impressivehistory. The 250-acre campus of the University of Oregon remains home to several handsome turn-of-the-century and early 19th-century brick buildings, all amid tree-lined footpaths and beautiful landscaping. It offers cultural and academic events for locals as well and is a wonderful resource for retirees; its Learning in Retirement program is allowing seniors to attend classes for very little money. The city offers visitors a dynamic mix of arts, culture, shopping, dining, sports, entertainment and outdoor adventure. Shopping in Eugene is also a plus in that there is no sales tax; you will never run out of places to shop or items to purchase in this city. The Saturday Farmers Market features the best of locally grown fruits, vegetables and flowers. It's a good place to shop for unique craft items. 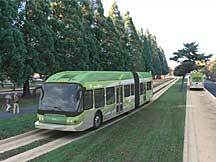 Eugene is served by a major airport, Amtrak rail service and major bus lines. The Lane Transit District, (LTD) the local bus system provides mass transit for the Eugene-Springfield. Seniors age 65 can ride for free. Retire to Eugene, Oregon and you too will fall in love with this city’s way of life; its beautiful surroundings, friendly community and eco-friendly environment, as well as its cultural activities which are unsurpassed and have been the focus of those wishing to live in asmall town yet enjoy the amenities of a large city. Click here for more information or visit FederalHousingTaxCredit.com.